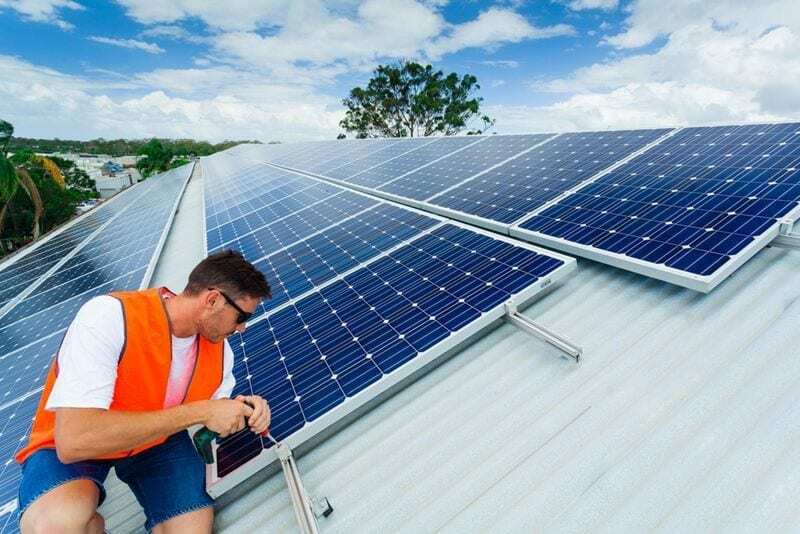 There are a lot of reasons that might lead people up on to their roofs in Australia, however given our abundance of sunshine and escalating energy costs, more and more of us are looking to save money by installing solar panels. In fact, figures from the Australian Bureau of Statistics (ABS) show that one in five households across the nation are now using solar energy for at least part of their power needs. With that much activity, it’s no surprise that the sector’s workforce is also on the rise – almost 7,500 people were employed in roof-top solar photovoltaic module activities in 2014-15 according to the ABS. Naturally in an industry such as this, accidents in the workplace do occur, so having a height safety strategy in place is essential. Take height safety seriously when installing solar panels. As you might expect, in order to get the best performance out of your solar panels, they need to be in full view of the sun as much as possible. Obviously this makes rooftops the most suitable place for installation, a location that carries working at height safety considerations. Having a height safety strategy in place is essential when installing solar panels. Workplace accidents in the solar installation sector can be costly not just from an injury perspective, but – as a company in Canberra recently learned – financially as well. According to the Canberra Times, In November 2015 the company was fined $140,000 for exposing a worker to risk of death or serious injury, after an apprentice fell from the roof when a ladder he was working on slipped. Speaking about the incident ACT workplace safety and industrial relations minister Mick Gentleman stressed the importance of adequate training for those in the industry. “I would like to remind all those who work at heights to continue to utilise safe work practices,” he said. According to Safe Work Australia, some of the key dangers when working on roofs comes from unprotected edges, trip hazards and fragile surfaces such as skylights. Whether you’re installing solar panels or working on the roof for other reasons, you should never get off the ground without ensuring the right height safety solutions are in place. From guardrails and walkway systems to skylight protectors and harnesses, at Anchor Safe Systems, we have all the equipment you need to make your solar installation a safe experience.